This project was built for the USDA Innovation Challenge. Visualize changes in crop yields over time. 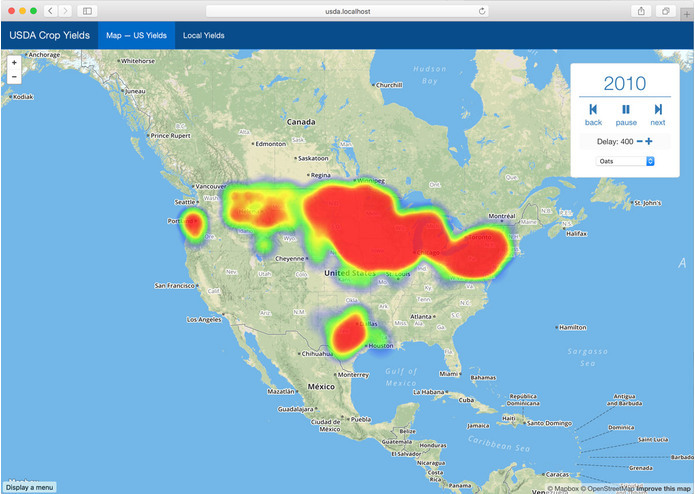 A heat map is displayed over a map of the United States. 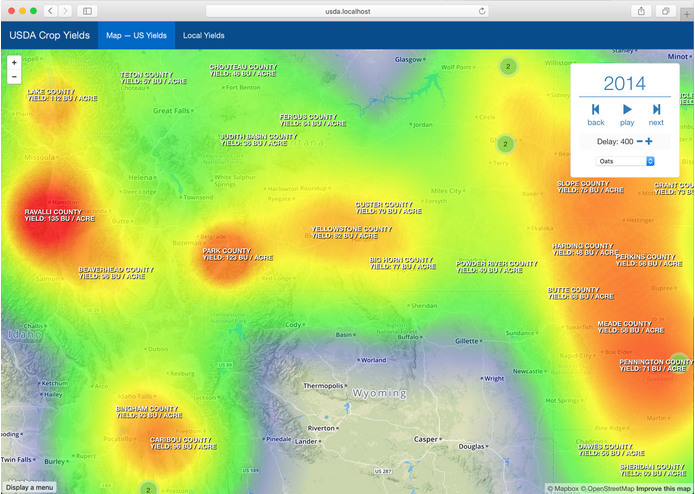 The heat map is animated using USDA crop yield data from multiple years. The animation speed can be changed, the animation can be paused, and you can manually control the year displayed. Counties and their respective crop yields are also displayed on the map as labels. 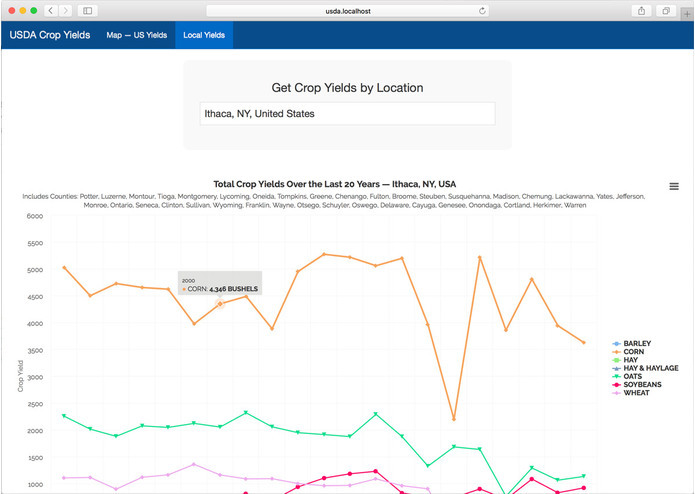 Visualize how local crop yields have changed over time and what's growing well locally. You start by entering a location. The chart will display the total crop yield for each crop from surrounding counties over the last 20 years allowing you to see how local yields have changed over time and what’s growing well locally. I've learned a lot about agriculture, commodities, and the commodity market.